Dr. Catherine Cappadocia, Ph.D., C. Psych. 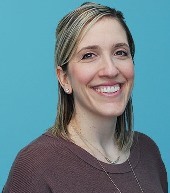 Dr. Cappadocia is a registered Psychologist with the College of Psychologists of Ontario, licensed to practice clinical and school psychology among children and adolescents. Dr. Cappadocia completed her Ph.D. in the Clinical Developmental Psychology program at York University and has spent the past several years working at the York Region District School Board. She recently completed a one-year term as a Coordinator of Psychological Services at the Board. Dr. Cappadocia provides assessment, consultation, and therapy services for children and adolescents. She is passionate about helping her clients to reach their full potential with respect to learning, building healthy relationships, and enjoying good mental health. Dr. Cappadocia takes an evidence-based approach to all services, using current clinical and research evidence to maximize effectiveness. She also takes a client-centered approach and places high value on building strong relationships with her clients, as well as providing a warm and supportive environment. Dr. Cappadocia also provides consultation to parents, school staff and administrators, community agencies, and health professionals regarding all of the above.